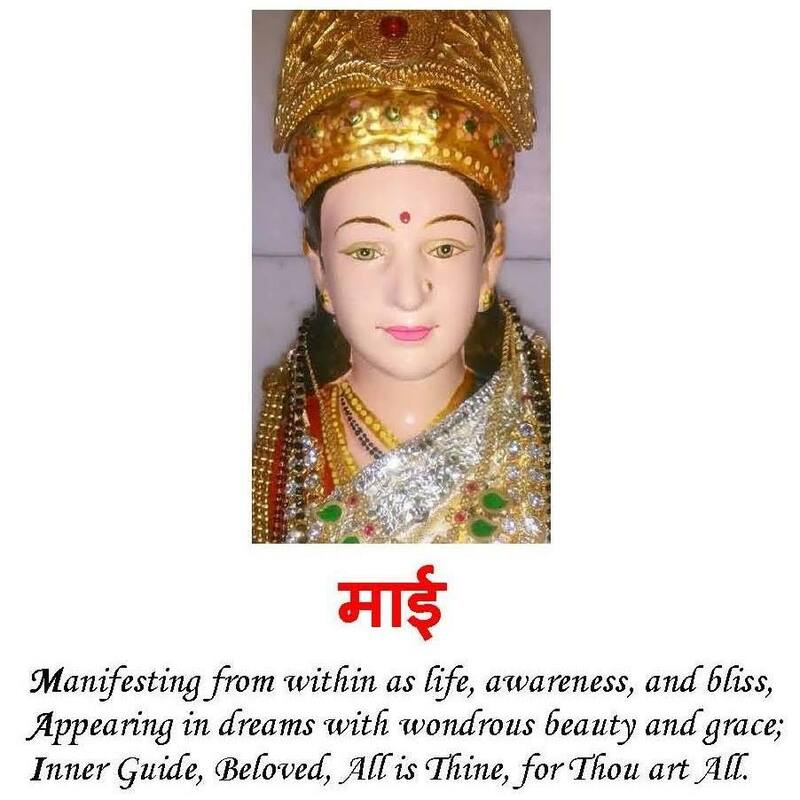 First secure Mother and Guru.Then go the world. Sri Ram has assumed a form with attributes yielding to the love of His devotees. Miracles. No change after vision. 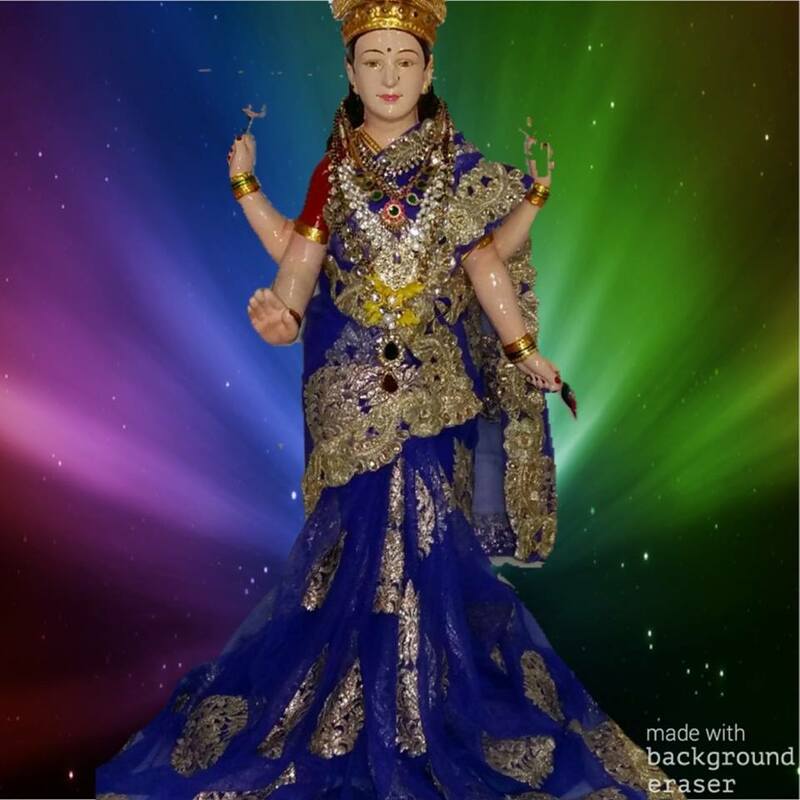 Divine Mother accepts and adopts standard which you yourself lay down. GOD IS GIVING US PROOFS AND PROTECTIONS SO OFTEN, BUT WE ARE ALL HOPELESS, USELESS AND UNGRATEFUL IDIOTS. 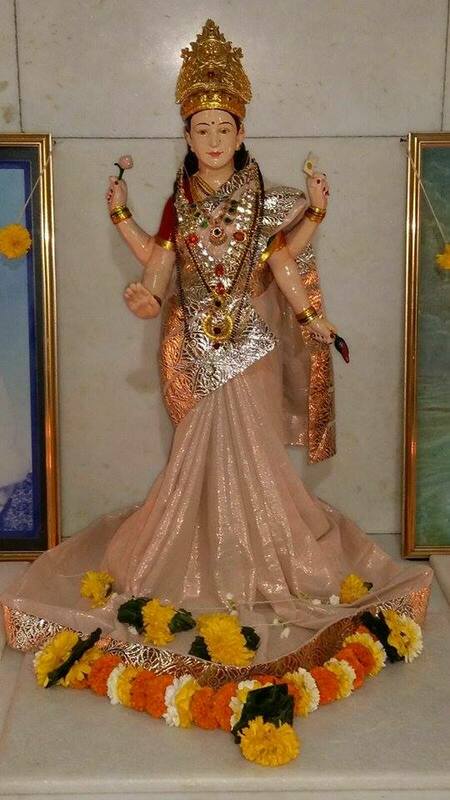 MOTHER HAS HELPED FAMILIES OUT OF CALAMITIES BEYOND IMAGINATION, ONLY ON A MERE APPEARANCE OF SELF SURRENDER TO HER. NONE CAN SAVE YOU EXCEPT THE DIVINE GRACE OF MOTHER. The entire absence of joy or the continuous feeling of being miserable , for them they do not Thee or the imitative or delusive joy arising from the worldwormness and sense living of them that are in dark regarding Thee respectively. These two as also the joy of truely wise and followers of truth, all proceed from Thee and are making of Thine and are aspects of Thine alone. Mother wants to make your ways easier only if you are turning your steps towards Her and true religiosity. Once you have established your relationship with your Mother, it is your choice to set up the standard of give and take or postponement. Mother’s speed to your call will depend on the intensity and impatience with which you offer your thanks giving. MOTHER ACCEPTS AND ADOPT STANDARD WHICH YOU YOURSELF LAY DOWN. MOTHER’S WAYS ARE MOST MYSTERIOUS.NONE HAS BEEN ABLE TO AFTOM AND NONE SHALL BE. WE ARE ALWAYS IN SOME HARDSHIP OR ANOTHER, WHY NOT THEN HAVE A CONTINUED RELATIONSHIP WITH MOTHER ? YOUR RIGHTS AND CLAIM ON YOUR MOTHER ARE PROPORTIONATE TO AND BASED ON YOUR LOVE, SERVICE, DEVOTION AND SURRENDER TO HER AS YOUR MOTHER. YOURS IS TO PRAY AND IT IS HER WILL TO GRANT OR NOT. MOTHER NEVER FAILS TO DO WHAT IS BEST IN THE INTEREST OF HER DEVOTEES ON PRAYING TO HER FOR RELIEF. THE RESULTS OF YOUR PRAYERS, JAPAM ETC.ARE DEPENDENT ON HOW MUCH NEAR AND LOVELIER YOU ARE TO MOTHER. MOTHER’S WAYS OF PROTECTION ARE UNKNOWN TO US. FIRST ENLIST YOURSELF AS HER DEVOTEE AND THEN LEAVE EVERYTHING TO HER. NONE KNOWS THE ELEMENT OF A CHILD AS MOTHER, WITHOUT EVEN A COMMUNICATING SYLLABLE. MOTHER IGNORES, FORGIVES AND FORGETS WHICH THE FATHER DOES NOT , SO VERY EASILY AND NOT THAT EXTENT OF PITY AND MERCIFULNESS, COMPASSION AND CONDESECCION. THE SECRET OF MOTHER’S DOCTRINE IS THAT THERE IS NO SIN WHICH MOTHER’S MERCY CAN NOT BURN AWAY. BY WORSHIPPING OTHER DEITIES SALVATION IS GRADUALLY OBTAINED, BUT BY WORSHIPPING MOTHER ONE IS FREED IN THE SAME INCARNATION. NOTHING IS OF ANY REAL AVAIL IF THE UNBELIEF IS THERE. MOTHERHOOD IS THE HIGHEST CONCEPTION OF GOD IY YOU WISH TO BE SAVED FROM IRRELIGION,MATERIALISM, ATHEISM AND ASTANISM. NOTHING CAN SAVE YOU EXCEPT THE DEVINE GRACE OF MOTHER. Mother! Make all happy, free from all worries and diseases and all calamities. Make each one and all of us, enabled to enjoy the Best, what is Divine, Sublime and Good. If Love is Mother and Mother is Love, I am Mother’s and Mother is mine. Mother ! Bless the readers, Bless Thy followers. Bless Thy surrender seeking. Be Thou pleased with any one that repeats Thy sacred name. On Thyself being propitiated and pleased, let the little universe of every devotee of Thine be most pleased, satisfied, comfortable and happy. Let it be Thy Grace, that the rulers lead the ruled into the righteous path. Let good befall to the lot of all. Let the universe be happy with rains, crops, contentment and prosperity. Make Thy devotees live in peace and bliss without fear. Make all beings to relish pleasure in attending to their duties, and on attaining their spiritual welfare. Make the wicked virtuous, make the virtuous successful in attaining their peace of mind. Make tranquillised souls free from bondages. Inspire and help the freed, to be taking up as their life mission, the work of helping, loving and serving others , to free themselves through Thy Mercy and Guru’s Grace. May all be freed from dangers. May all understand and attain good. May all be living nobly. May all be rejoicing in the universal spiritual good of all. 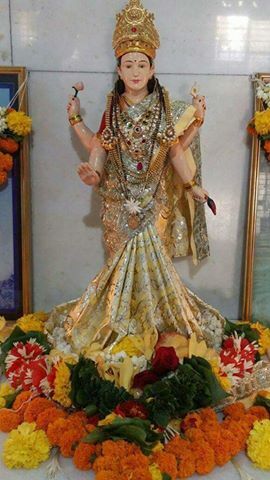 JAY MAI JAY MARKAND MAI, JAY MARKAND RUP MAI, JAYA MARKAND RUP MARKAND MAI. – MAIISM. 806) Parama-jyotih परमज्योतिः – Most supreme Illuminator. Giver of light which is much brighter than that of Sun. The sun never illumines that, nor moon, nor fire. Param Dhaam is the state of consciousness, after reaching which one does not return to the lower consciousness. Stability in such consciousness is the attainment of Mother’s supreme abode. Dhaam, is really not a certain place or space but the state of consciousness. The State of tranquility, reality, knowledge and bliss represents Mother’s abode. When all differences vanish, including even that of the enjoyer and the enjoyed and sameness is experienced in all the three states of waking, dreaming and sleeping, and when I and myness is squeezed out from every other thing except Mother, that state of consciousness represents Mother’s supreme abode. Mother is greater than the greatest, nearer than nearest, more befriending than the most befriending. The worship of he Highest Lord, Servant of the lowest servant, grosser than the grossest, and subtler than the subtlest. 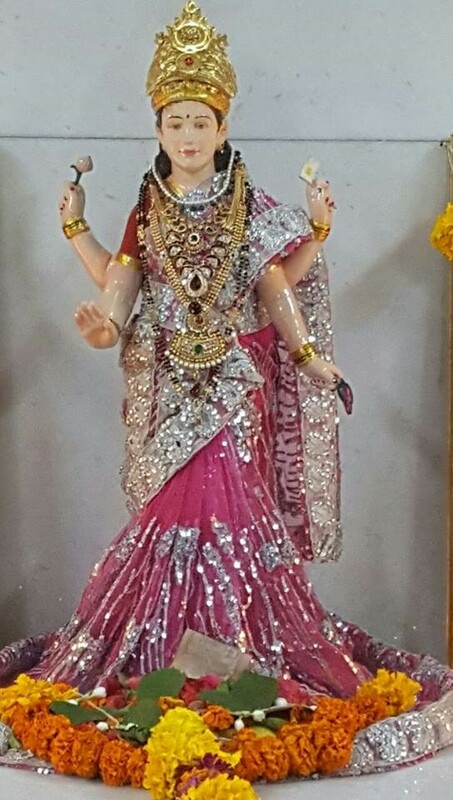 The noose is to be seen in Mother’s lower left hand. 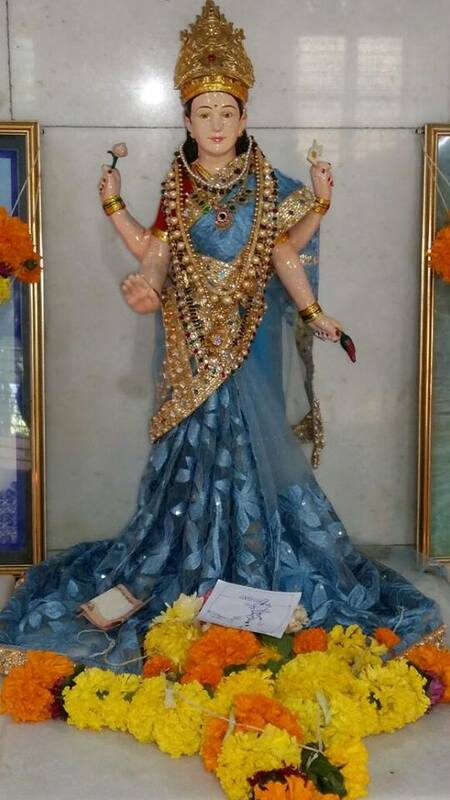 She removes the bonds of Her devotees with Her own hand. The above two names are indicative of the fact stated before, viz., that She will bind with the noose and She will again destroy or release the very noose. The same weapon is used either for binding one or for releasing one or another. Murtaa is earth, water and fire. Amurtaa means air and ether. The former is so called because it has form, whereas the latter has no form. Further Murta means the five gross elements mingled with each other; Amurta means the subtle elements which are not mingled with each other. Again Murta means Universe and Amurta means Brahman. Also they mean perishable and imperishable respectively. This is so because Her taste is much higher. She is only pleased with devotion. She accepts whatever is offered, however trivial, with greatest joy provided it is offered with devotion. The greatest virtue which gives a lift in spirituality is Satya or Truthfulness.The usual outlook about the “Truth” of the routine religionist although he repeat that word hundred times is extremely narrow. Few have explained “Truth” except by some small definition of ” Conformity of word, thought and action”. To realise the importance of this virtue , the ant out-look should be made elephant-outlook. “Satya” must be taken to mean “Arjavam”, i.e., straightforwardness. Giving a more practical aspect, I interpret “Satya” as absence of crookedness of heart, thought and action in practical routine life. This definition may be applied to oneself, in dealings with others and the universe as whole. I say with experience that the degenerating influence of the highest sins is not that as great as that of the routine crookedness. The degenerating influence of constantly keeping yourself concealed from others as to what you are, utilising your speech and influence and action to give the wrong scent of your motives and further move, etc. is the violation of the truth. I say by experience that crookedness and violation of truth is much worse than highest sin because it deadens the conscience and closes all doors against even the best saviours. No patient can be cured by even the most celestial doctor, if the very history he gives the false one. If you are unreliable, you are incorrigible and untouchable as well.Impurity of other sins soils you but the impurity of crookedness murders your higher self. Satyarupaa is a higher form than the Satyavrataa which is again higher than Satyapriyaa. You are on the other side of truth.You side with people , customs, action and conduct in the right, that is Satyapriyaa. You yourself trying to best keep yourself in the right is Satyavrataa. When you can not feel easy yourself because you are not in the right, you are Satya-rupaa. Satya-rupaa is the stage when the righteous living becomes so interwoven with one’s thought and action that any casual observer can mark you out whenever you speak an untruth or twist the truth or make the slightest departure from the right conduct.You are then Satyarupaa. There is so much of uneasiness, confusion and guiltiness stamp on your face, that even the dullest person can detect you. You are then Satya-rupaa. You can not remain composed till you have vomited out your crime, sin, fault or folly. As an instance of Satyarupaa I quote a wonderful instance of actual happening of a young man. He having fallen a pray to weakness with a young woman in solitude, went direct to the woman’s husband and spoke to him thus : ” I and your wife succumbed now, being young and in solitude. We both are fools and uncontrolled. I do leave this place tonight so that the sin may not be repeated but our best saviour can be you.I therefor pray to you to do all the needful to save us both from direct hell.” Whatever he is another field, he is a Satyarupaa. Satyarupaa सत्यरूपा are those who cannot bare the burden of any secret or the fact of having dabbled with truth or having hurt anyone by unpleasant feeling, thought word or deed. 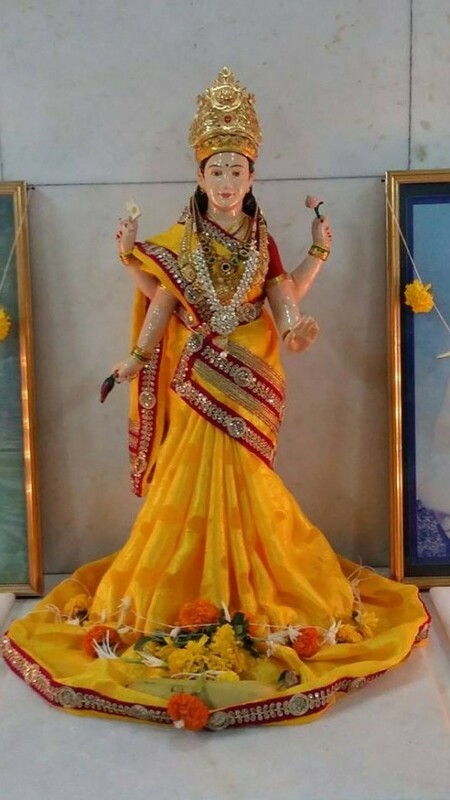 Satyavrataa सत्यव्रता may also be taken to mean She that is pleased by vow of speaking and living truth or She that becomes Satya, i.e., more known or manifested on observing Vrataas (religious vows) sincerely and not hypocritically. Satya also means giving quick and lasting results, and Satyavrataa means She that gives quick and lasting results. Satyavrataa may also mean She that makes Her promises true in the matter of conferring all that is necessary for evolution till the attainment of salvation, on him who surrenders himself to Her. In Devi Bhaagvat there is a story of an illiterate and foolish Brahmin by name Satyavrataa who on repeating the sound “Ai” – ए which he heard from the mouth of a boar by whom he was frightened became the king of poets. Mother taking pity on him completed his “Ai” ए to be “Aim” एम and “Aim” एम become “MAI” by continuous repetition. She knows the beginning and end the present condition of every being and everything, , and the working in every heart and head. She is all in all and through all. Having created the universe, She entered into it, and after entering it, She became animate and inanimate. Extremely repentant and unable to bear the idea of her moral degradation form the idealistic plane, she left her body. In the Kshatriya dynasty period faithful queens died after their husbands in war, and they were called Satis. Sati means energy which enables chaste wives to make highest sacrifices for their husband. Ani means tail and Active Mother is the tail of Passive Mother or Brahman. Ani also means giving life and then Brahmaani means Mother that creates or gives life to Brahmaa, the Creator of the Universe. 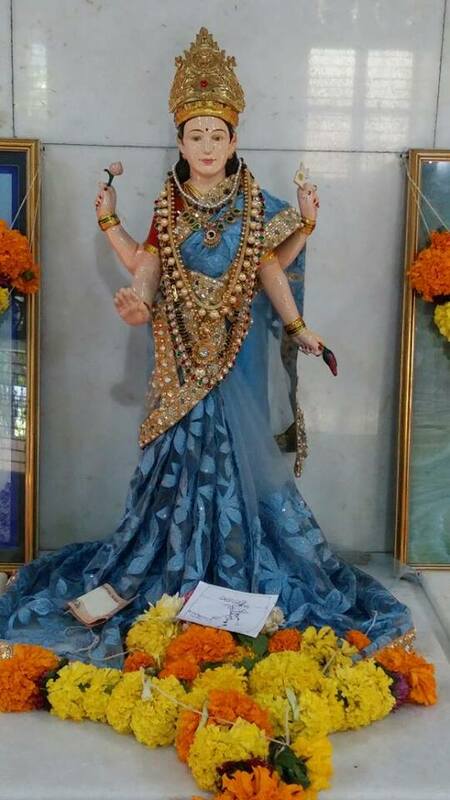 Mother’s Lodge explains thus,” Consider some deity, Mother of that deity, Mother of that deity’s Mother, and so on. You must come to some end.That Finalmost Mother is the Mother of the Mother’s Lodge.. Highest variety that the Hindus can conceive of is Brahmaa. 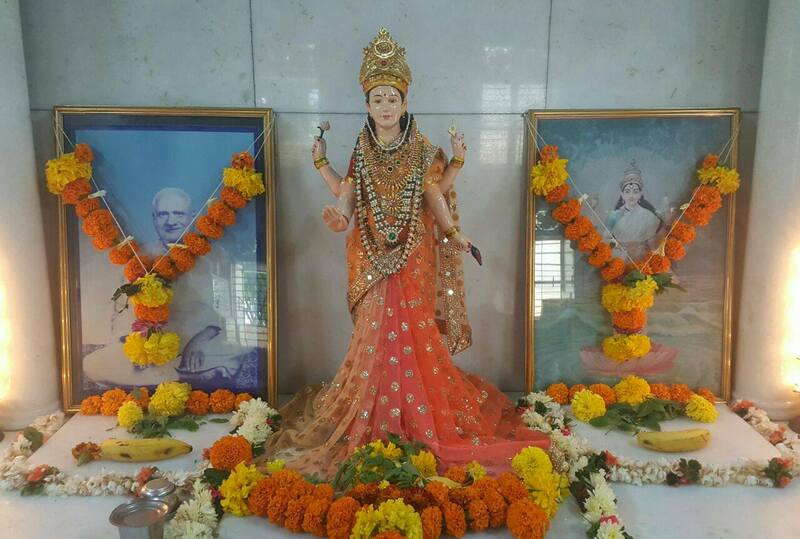 Mother’s Lodge says , ” If Brahmaa has Mother, the Mother of the Lodge is the Mother of Brahmaa.” There must an origin from which all this has originated and origin means Mother. Taking the Puraanic view even when Naaraayan is sleeping, Lakshmi, although represented to be shampooing is awake.It is worldly foolishness to infer that the shampooing entity is inferior. The primary one should be the path of hard toiling, which truth for the Maai-ists can not be too much emphasized. It is the practice of virtues . Before you go to devotion or knowledge , you must first have a very solid grounding, by actual practice , of self-control. The first thing is conviction about the Karmic Law. Just as hidden seeds shoot forth even after many years as soon as there is a small shower, so good and evil actions, thoughts and emotions bring their pleasures and pains, loves and hates, and bear their fruits sweet or sour, without fail. It is out of fear of the dispenser of the Karmic law, i.e.. of Her, that the different deities regularly discharge the duties assigned to them. The Sun revolves untiringly. Out of fear of Her, the wind blows. How can one without the possessing the capacity of showing anger, and whom the people do not fear, enforce righteousness ? People are often set right more by fear of punishment than by love of reward. Pratishthaa means honour or fame , fixity and foundation. Mother is the foundation of the Universe, and the supreme consciousness which She has or is , is the foundation of all consciousness about all things. She establishes certain relations of cause and effect, substance and property, and laws governing all the phenomena of the Universe. Similarly in the path of evolution, it is Her Grace that lays the foundation of all evolution. It is this Pratishthaa which gives fixity, character and devotion, and which establishes firmly in devotion and the path of progress. Praan-Pratishthaa of an idol or a photograph means the sanctifying the same, by pouring in or establishing the soul force therein, by those that are empowered to do so, by intense devotion and purity, through Divine Grace. Prakata ,experienced by all, akrutih Her nature. All men themselves know as “I”, and have no doubt about the existence of themselves and yet through delusion they never think, know or recognise all different selves to be proceeding from Mother. A child believes, it is indebted to the house tap for allying thirst. A working cooly says he is indebted to the street pipeline. A mechanical engineer says he is indebted to the water work station. The hydraulic Engineer states he is indebted to the river dam. The physicist says he is indebted to the clouds. The geologist says , to the ocean , further someone to Sun and still further, the astronomer will refer to the solar system and so on. Each man is able to judge according to his capacity. Praana means senses as also the five vital breaths. Mother is the Giver of life, which enables the body to perform its functions. Vivifier of the universe, the Supporter of the breathing and therefor of life and Nourisher of senses. Mother is Breath of breaths. Peethas पीठ are places in Shree Chakra श्रीचक्र for the arrangement of different letters , being places for residence of the energies conveyed by letters. Letters are really fifty-one, but one letter Ksha क्ष is omitted by some authorities. The universe is itself by holy.It is made unholy by people.Every ground is holy where no people go. Vivikta may be interpreted to mean the region of righteousness, but the importance of loneliness as most fitted for meditation can not be underrated. Society and solitude both should be alternatively utilized. In solitude is the facility for awakening the higher powers.In society one has the school, the test and the means. In forests there are sometimes fights of a deadly serpent and a mungoose. The mungoose beats and the serpent bites.When the serpent’s poison becomes unbearable the mungoose runs away to it’s resting-hole where it smells some medicine which is antidote. By alternately fighting with the serpent and regaining powers in solitude , the mungoose finally kills the serpent. Such is Samsaar, the serpent of worldliness and the secret of success for the soul-mungoose is the alternate utilization of society and solitude. Perhaps this illustration is repeated, but it has its appropriate place here and repetition is the secret of success. The Maai-ist, if a renouncer, says,” All earth is mine.Mine by my universal service and mine by universal love.” In black forests of man’s ignorance there are poisonous wild trees of lusts, avarices and angers which have to be uprooted by practice.No amount of scriptural reading or Bhajans and Kirtans will help you.That uprooting has actually done by squeezing your own comforts and by crushing your lower mind.By extending love to all you make this earth much fairer to live in. Aspirant on the path of salvation must from the very commencement fore-arm themselves against hard obstructors and tempters on the path.These are 1] egoism 2] doubt and oscillatoriness. 3] abuse of powers 4] lust 5]pure and misplaced love out of a wrong idea of duty or helplessness of the beloved 6] hate 7] clinging to life or fear of loosing life 8] pride and 9] ignorance etc. The for-arming and fighting to success should be well practiced and not presumed on the ground of being Rishis’ and Professors’ sons or on the ground that you have never taken meals without bath. Veera also means chief among devotees. Veera-Dikshaa is one of the initiations in one of the schools of the old Shaaktaas. Mukunda is the name of Krishna. That Krishna and Kaali are the same has been supported by many scriptures. In the Tantra Raaja while describing several Gopal mantras it is thus stated, ” Lalitaa, once appeared in a male body as Krishna , with Her different energies to support with Her in the form of Gopies. That the idol of Shri Nathji has been wearing a nose ring as a commemoration of the Mother’s devotee Vallabha Dholaa is well known fact.This devotee showed to Krishna’s devotees that Kaali was Krishna in male form by praying the idol to appear as Kaali and this the idol did. 842) Bhava-rogaghni भवरोगघ्नी – Destroyer of earthly existence. Mover and Turner of the wheel of the earthly existence of individuals and of the universe , through birth, growth, decay etc. She is the final disposer as binder or releaser. She turns angle of vision of some towards material happiness, or of fewest, towards mental and individual happiness and of some towards Herself and Her glory and sportivity. Bhavachakra means the wheel of worldliness and is stated to be a chakra , being like a whirlpool constantly in a circular motion, with a speed which is swifter than that of mind. Chhanda means metre or unrestrained conduct. 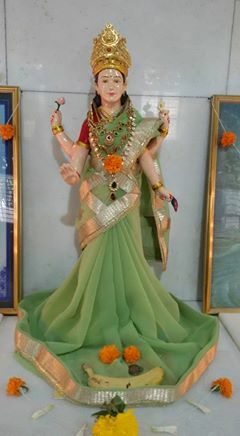 She is the essence of metres, viz., Gaayatri. She is the essence of all joy arising from unrestrained conduct, which is merely a shadow of the joy proceeding from Her. Chhanda also means craving for unrestrained conduct. The highest joy resulting from unrestrained limitless craving, is when is one arising, from madness after Mother. Here Mother is described in the poetic strain. She is stated to be slender waisted. (Please read shloka श्लोक 79 of Saundarya Lahari सौन्दर्य लहरी ). 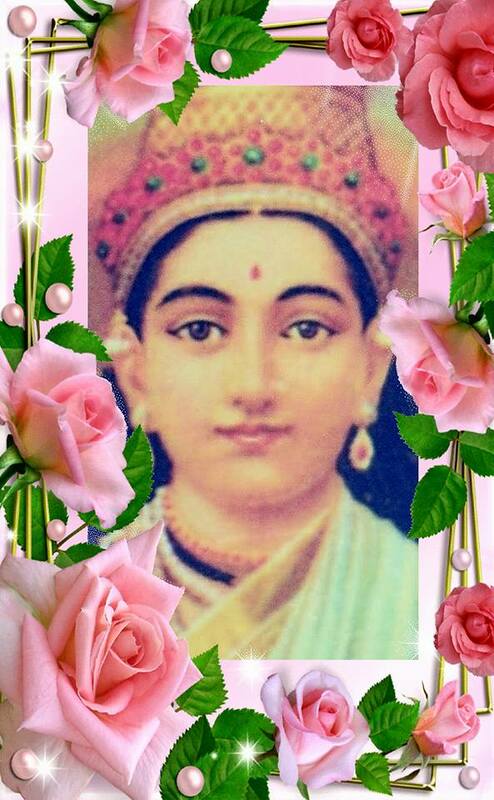 661) Sadasadrupadhaarini सदसदरूपधारिणी – Mother is the foundation and assumes all forms of being and nonbeing. Sat सत and Asat असत are also the two kinds of knowledge. Sat is knowledge or mental understanding about Mother after, the realization of the unity underlying the Soul, Universe and Mother. It is after this realization alone , that the Universe becomes Asat (non-existent). Asat knowledge means the knowledge which is non existent, but which is contrary to the final truth, and which every soul has , before the above said realization. Sat and Asat also mean existence and non-existence. Existence is what is permanent and unchangeable, Whatever appears as either as existent or non existent is caused to appear so, by the desire of Mother. Earth, water,fire, air,ether, mind, intellect and egoism are the eight forms, of elements, physical astral etc. “Wealth, intelligence, earth, nourishment, protection, contentment, radiance and stability are the eight forms”, of reliefs and remedies, by which Mother protects Her devotees. Mother as manifest in the self, makes the self to be of eight kinds, according to the difference of qualities, viz., (1) Elemental Self (Bhutaatman); (2) Embodied soul (Jivaatman) (3) Inner Self (Antaraatman) (4) Wisdom Self (Jnaanaatman) (5) Great Self (Mahaatman) ; (6) Untaintable Self (Nirmalaatman); (7) Positively pure Self (Shuddhaatman); and (8) Supreme Self (Paramaatman). Desire, wrathfulness, greed, infatuation, pride , envy, sin and merit. These are governing deities, or forces and forms, and according as they are pleased or indifferent or displeased, they favour, remain neutral or obstruct the soul, in their respective fields, through the agency of thoughts, desires and actions. Managing the worldly relations and duties and maintenance and smooth running of the worldly life of Her devotees in Her individual capacity. Mother is one without second. Alone, She creates the worlds, alone She establishes them, alone She consumes the Universe. Hence She is called the One. ‘She is one’ and ‘She is many’, (please see the Preface). Though She is one , She is everywhere and cognised as many by limitations.Just as the crystal looks coloured, by the transmission of the different colours, just as one cloud become many retaining the same nature and colour, just as the rain from the sky assumes various tastes and colors according to the soil, just as the one fire takes different shapes, and just as wind is said to be differently odorous, so also Mother is said by the wise to be one and many. Mother is One alone, to Her devotees as seen in their single mindedness during their sublime most period of devotion; and Mother is many while they move in the Universe and deals with hundreds of humanity and hundreds of experiences of desires , thoughts, emotions and actions etc. 666) Bhooma-roopaa भूमरूपा – Aggregate of all things. None of the opposite pairs are permanently true, not are they, during the period of their existence, able to exert any permanent influence. Nor can She is be permanently conceived as in two parts. She is goodness, Benevolence, Love and Mercy alone. She is all the best and best alone in spite of all seeming evil, because She alone is both opposite parts, both being of Her making and ever creatable and destructible by Her, at Her sweet will and pleasure. 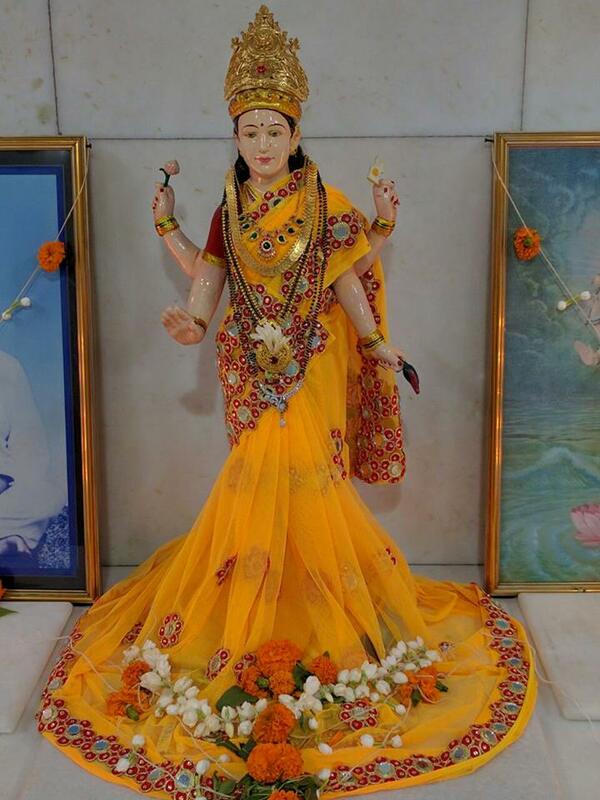 To avoid the last lingering notion that Mother may be in any way connected or pleased with any of the above practices, Mother is immediately described here as Brahmanic. She is Brahman-like, fully Sattvik. Braahmni means full of divine wisdom and crowned with the white flower of Sattvikness of chastity, purity, charity, pity, etc. As Brahma is sexless or both-sexed there should be no objection to give Motherly feminine name of Braahmi to Brahmaa. Bliss that is experienced when no thought remains except that ” Mother alone exists and none or nothing else exist, independent of Her” is sometimes called Brahmaanada, but that is one popular meaning.The other is the bliss in the relationship with personal Mother taking the whole universe and all its beings to be Her manifestations. the first meaning refers to Impersonal Mother and second to Personal Mother. However as explained before , Mother is both Impersonal and Personal. Impersonal Mother is realised when the ego has forgotten itself and lost itself,during ecstasy in a stage when there is neither I nor Thou. Where I and Thou remain but whole universe disappears, it is a dealing with the Mother as Personal Mother. When I disappears and only Thou remains it is Prapatti or complete unconditional self surrender. When I and Thou remain but the relation is ” I and Thou are one “, that is Love.When I and Thou alone remain but the relation is that of ” I am Thine”, that is Supreme devotion. When I and Thou remain but the actual relation is “Thou art mine”, it means the selfishness and universe have not completely disappeared, and Devotion is Elementary. The meaning is to be reversed. Those that love Mother or those to whom She is beloved become mighty. Mighty means able to conquer the six enemies and to overcome nescience. “Bali” also means accessories of ceremonial worship. Animal sacrifices are defended under this name, stating that She is fond of animal sacrifices. This word and the previous word should be read together.The implied idea conveyed is that SENAA सेना or the powers She deputes to ameliorate or evolve Her devotees are expanding even though they be few in numbers, being of the mightiest prowess. In the usual methods of evolution, a thousand things are being ordained for observance, but when Mother decided to crown Her devotee with success, She enables him to reach the goal by constant practice of only four mightiest things, viz., love, service , devotion and self-surrender, which four again are mere amplification of only one thing, viz., Love to Her. On the battle-field the opponent who was being baffled by Mother taunted Her by saying,”Why dost Thou pride Thyself so much ? Thy victory is due to the mighty and multitudinous army of Thine and nothing of Thy own prowess.” Mother to convince him of the fact that Her senaa is not only Jayat जयत invincible, but also Brihat बृहत only as an expansion (of fewest individuals), ordered all the fighting powers enter into Herself. Here physical death is referred to by deaths, but it means untimely, unnatural and unusually fatal, ill-famed or disgraceful and painful death as by serpent bite, drowning, lightning strike, etc. The Kali age( कलियुग) through which we pass Is Iron age and it is thus described : The Ruler of this age is Personified and bears the name Kali. The period is supposed to be of 432000 years. Kali( कलि) is the friend to sinfulness and enemy of religiosity. Kali कलि works mainly through greed, burstfulness of desires, falsehood, misappropriation, secret, harmfulness, hypocrisy, pride, quarrelsomeness, villainy, dexterity, and feeling of enjoyment in other people sorrows and calamities. Kali’s residing centres are associated with wager, wine, women and wealth, the principal ones being last two ones. Kali ( कलि) begins his work through kings, householders or bread earners and teachers. But to counteract all these deplorable vices of the people of Kaliyuga ,( कलियुग) the iron age, there is one extremely great unique advantage. 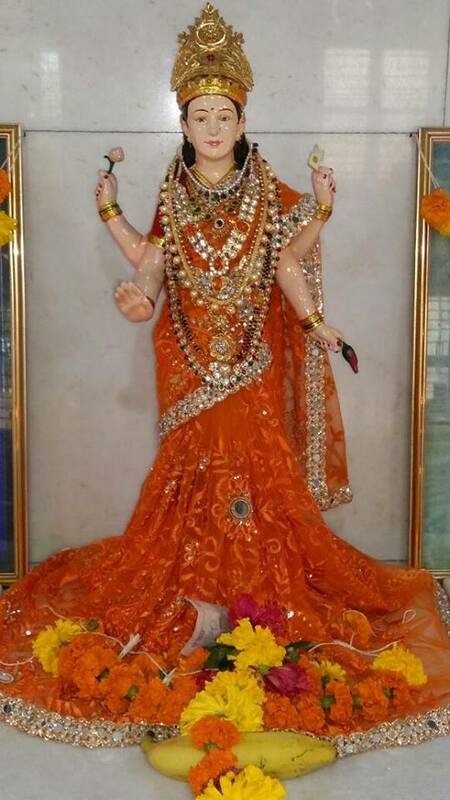 It is that by simple repetition of Mother’s name, Jai Mai जय माई , in spite of all waywardness, disagreeability, weakness and vice, the man or woman who repeats Her name will be saved and led to salvation. She destroys the sin which necessarily predominates in the Kali age ( कलियुग) and which can not be destroyed by others. 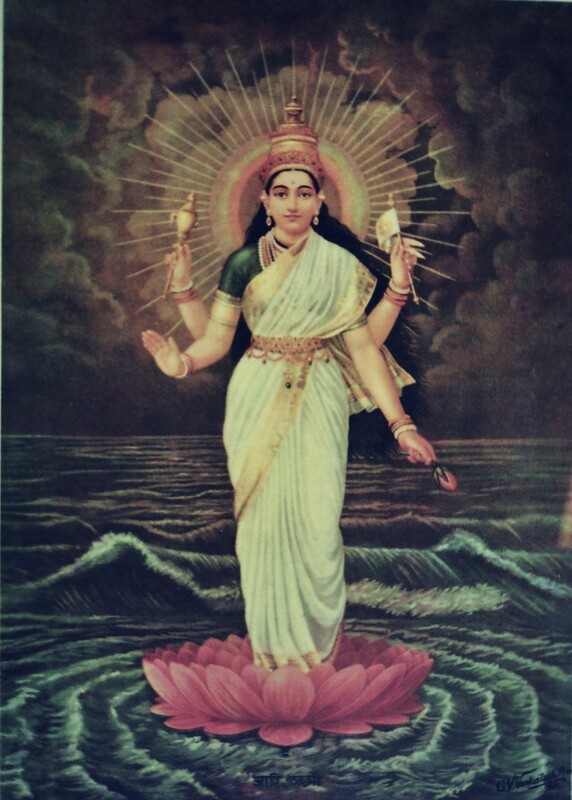 The Kurma Puraan says, ” Water is able to quench the fire, the presence of sun to dispel darkness, and the repetition of the names of Mother, to destroy the multitudes of sins in the Kali age.” The remembrance of the feet of Supreme Mother is said to be the highest expiation for sins , consciously or unconsciously committed in Kali age. One naturally questions ” Why devotion is most suited for Kali age ( कलियुग) people. The reasons are in brief these : (1) The conception of God as Mother at once removes all weakness, diffidence and despairingness, as every child has a claim to Mother (2) There is no weighing of he Grace given in proportion to the devotion. (3) Mother lifts the child in the path of elevation from the lowest stage of vice or incapacity or perversion. (4) She does not demand leaving the world to get salvation. 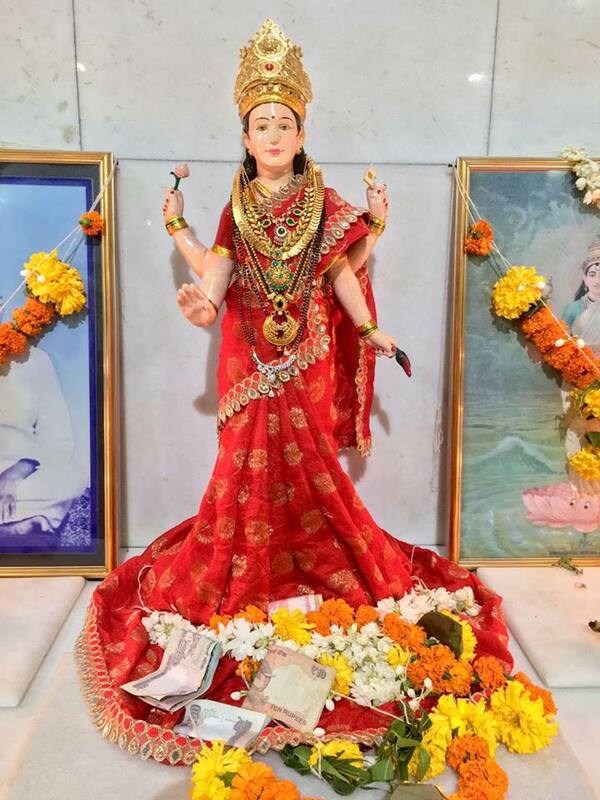 (5) She is approachable for even entirely worldly successes, and does not blight the joys and charms of life by preaching retirement or renunciation. (6)The highest human energy, viz., the sexual energy safeguarded and sublimated as a result of the belief and practice of being a child and seeing every woman as mother, etc. Mai-istic view offers following solution to the paradox. It says,” Not a single good thought, desire, word, action or effort is lost. The real fact is that we expect results without undergoing even one hundredth of the necessary sacrifice or struggle. Exert, strive , struggle, sweat, not a single atom of your sacrifice is lost or is uncrowned with success. Even a single moment’s pious wish in seclusion known to none except the wisher is not lost. At least wish well of others. Such a wish bears its own fruit. 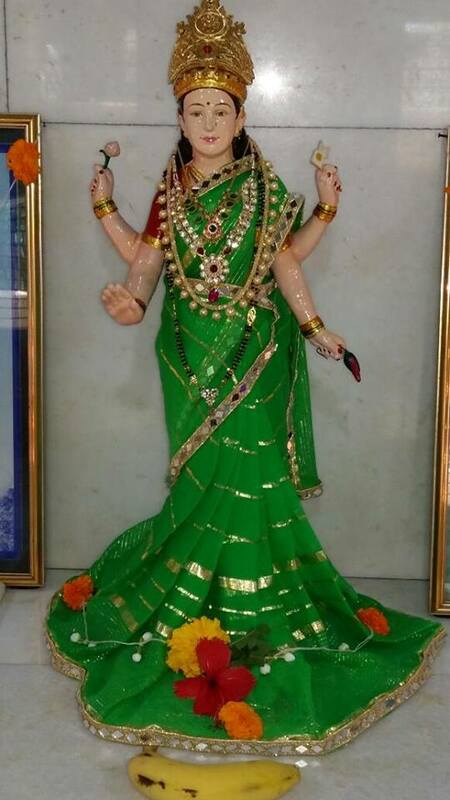 She that is worshipped on the basis of relationship. The word Mitra मित्र is indicative of friendliness or well-wishing. This relationship of well-wishing can be in so many relationships as of father and son, master and servant, guru and disciple, love and beloved, mother and son, creator and created, player and plaything, etc. All these relationships are included in this general name. 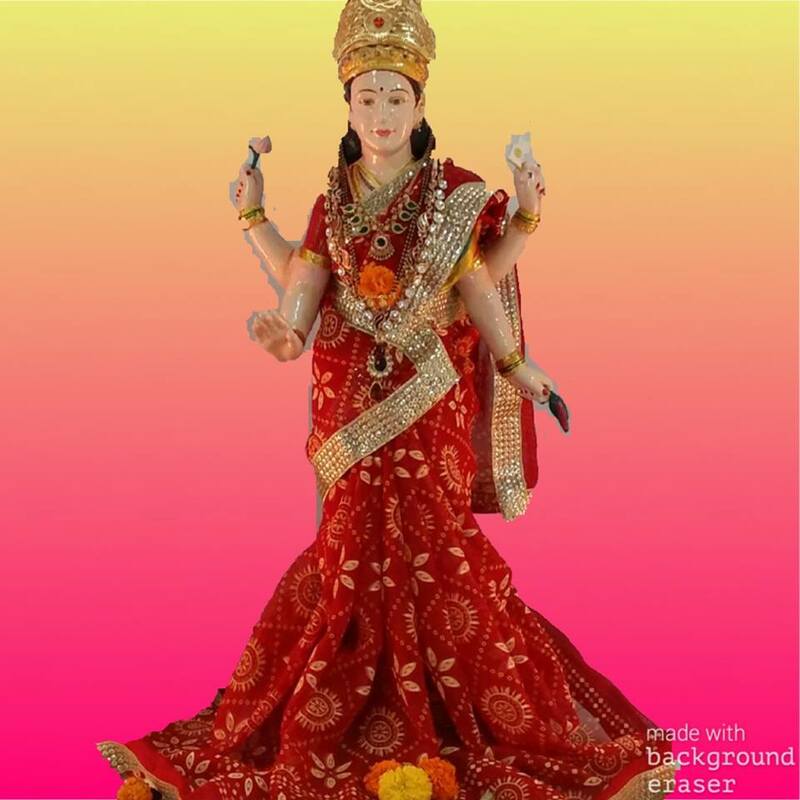 Mitra मित्र also means Sun besides friend and this name has also the reference to the Sun’s worship through Sandhyaa संध्या by Brahmans ब्राह्मण . She is pleased by extending friendliness, etc., and the inborn desire of extending love and sympathy to all others. This name in other words says , ” To please Mother Love all and Serve all “, which is the most important teaching of Mother’s Lodge for Maai-ists. Friendliness etc.means sympathy,compassion, complacency, pity, companionship, cheerfulness-spreading, consoling, helping and guiding others in the path of righteousness, etc. The success giver in attaining the supernatural powers and their application. Siddhas are the nine Naathaas, who are masters of Yoga.One of them is the well known Gorakhanaath, the disciple of Machhindranaath. In this school, the greatest stress is laid on Guru-worship and considering Guru to be God and nothing short of God. While the ocean was being churned, all the best things came out, and last came poison, which began to destroy the universe. Shiva then came forth to control it, and swallowed up all poison, and hence Shiva’s throat became blue. Mahesvari forms that half body of that Mahesha or Shiva. The worldly meaning may also be noted that She is a true wife who shares the full miseries in all conditions and all circumstances. Known to all in the shape of their “I”. Many deny the existence of God and dedication of anything to God. However, if God means “I” as it is under the Mother’s Ideal, every one not only owns but asserts the existence of Mother and dedicates and desires to dedicate the whole Universe to Her. There are five elements from ether to to earth, and each is called the Prakriti ( origin ) of the succeeding one; the origin of ether is Mother and so She is called Mula-Prakriti. Prakriti is cause and Vikriti is effect. 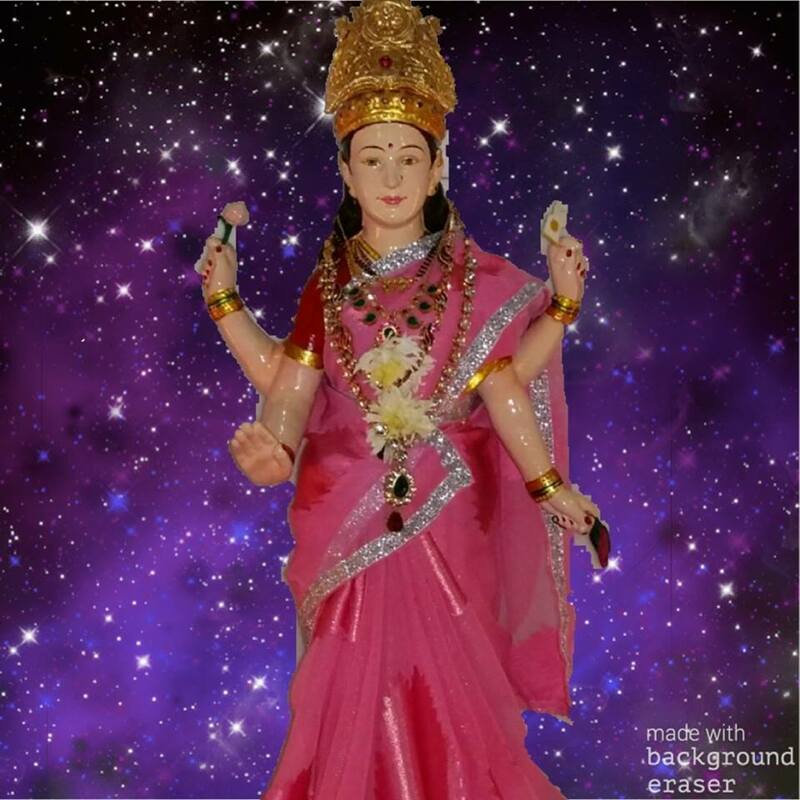 ” There is one Mother of the Universe , who has no origin; hence She is called Mulaprakriti. 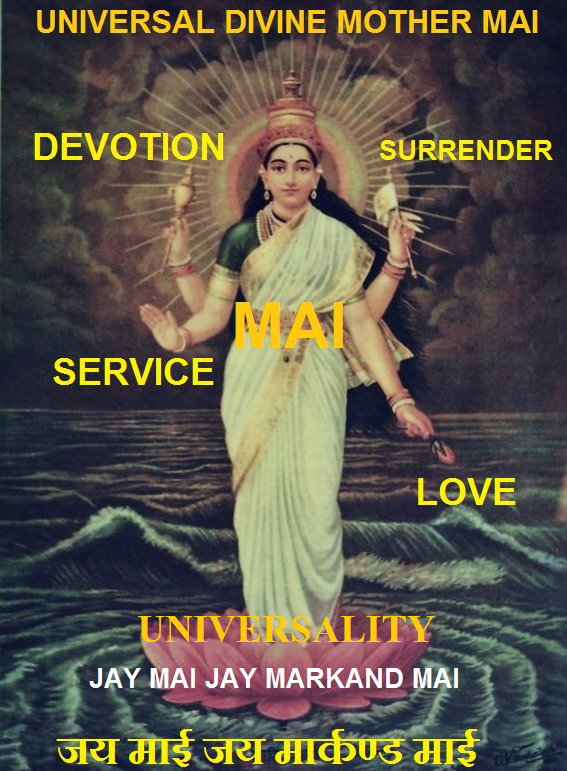 ” The earth, the basis of all, becomes dissolved into water, water is absorbed by fire, fire is absorbed into air, air into ether, this into the unmanifested (Avyakta), and Avyakta into Mother.” So She is called Mulaprakriti. Avyakta is the collective form of the three qualities of Sattva, Rajas and Tamas. Vyakta, is naturally subject to modifications unlike Avyakta. Vyakta is perishable. Avyakta is imperishable. Taking Vyktaa to mean the first manifestation, it is Supreme Egoism. 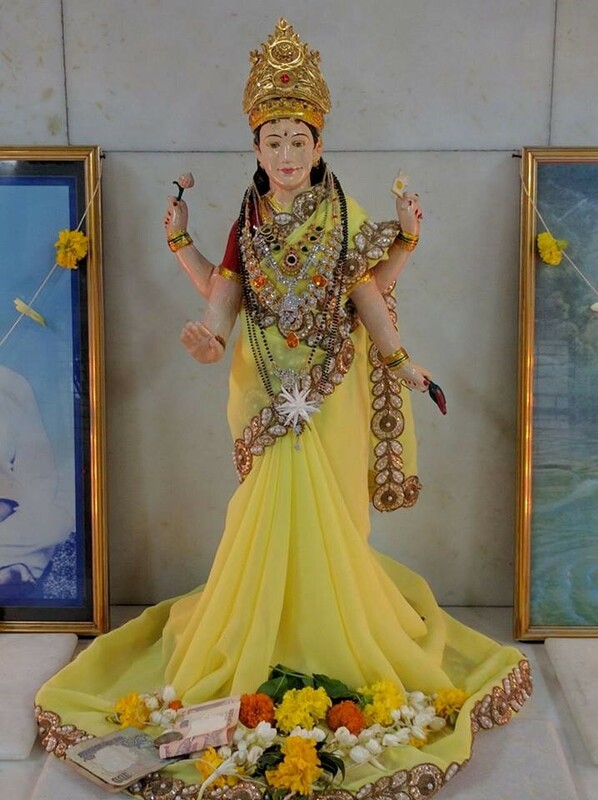 Vyakta, Avyakta and Vyaktaavyakta are three conceptions of Mother for each of the three processes, viz., those of worship, devotion and meditation and they are generally based on above meanings, if you worship Mother in the universe around,which is Vyakta form, you get happiness. 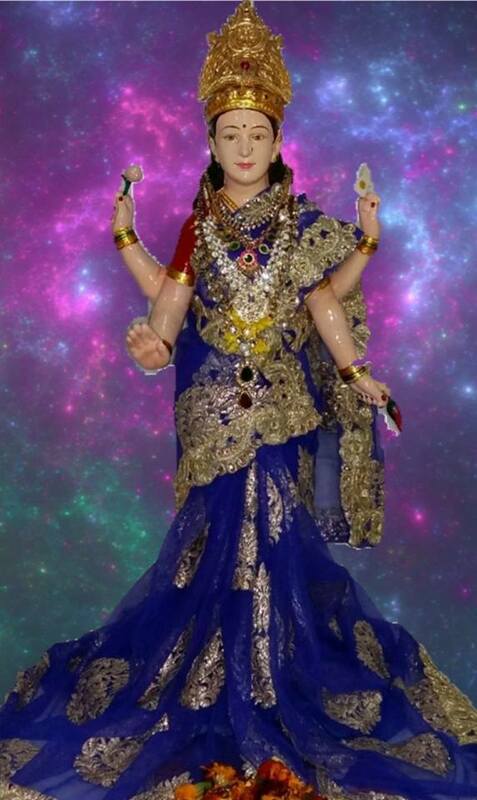 On the other hand, if you worship Mother as the eternal Finalmost Mother, which is the Avyakta form, you get salvation. 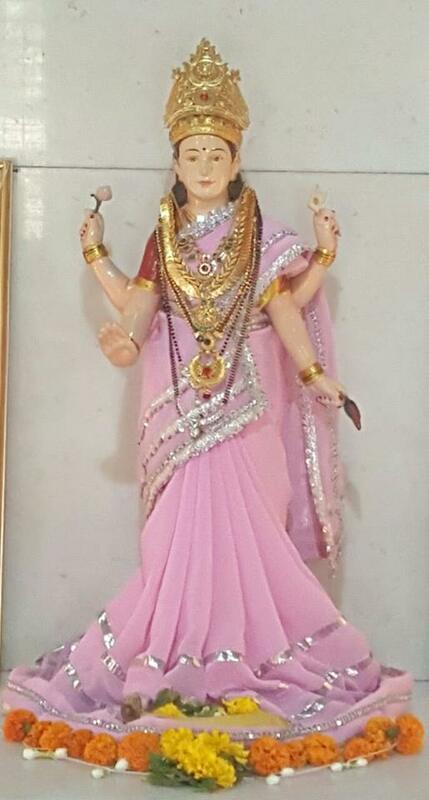 If you worship Mother both ways. i.e., at times with form and with attributes and at times without form and without attributes, you get both, i.e. happiness and salvation. 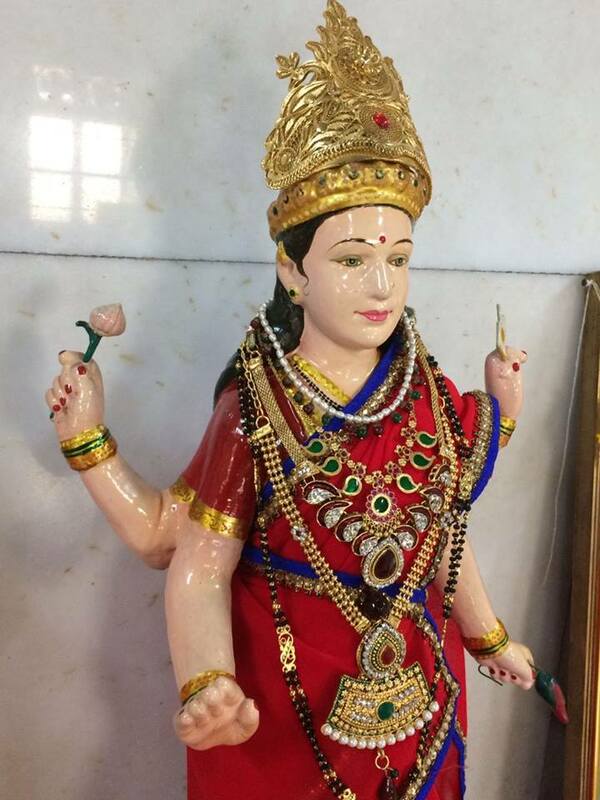 She is manifested ( Vyakta ) to and in those devotees, whose deeds have been ripened and is not manifested (Avyakta), to and in those who have remained themselves bound by the noose of Maayaa and She is Vyaktaavyakta to and in them who have known the whole science of evolution and their own situation and desired the attainment of the finalmost stage, but have not attend it. On the same lines, Vyakta meditation is the meditation of one’s worshippable in the limited and experienced form. Avyakta meditation is focusing on the conception of the universal form and Vyaktaavyakta meditation is the happy combination of concentration on the form delimited to be fully within practicability, but vested with limitlessness and infinity. Krishna as Yashodaa’s son is Vyakta, Krishna is Vaasudeva is Avyakta and Krishna as Raadhaa’s Beloved is Vyaktaavyakta. She is called all-pervading, because She assumes all the different forms of the creations. Tamas तमस means ignorance. They that worship ignorance enter blind darkness. Darkness and ignorance mean death. Primarily Tamas तमस manifests itself in two ways , (1) not knowing the right thing and knowing truth as untruth and untruth as truth (2) Deadness, inertia, aversion or any change or activity. Under the other head of Tamas comes ignorance, inversion and abuse, the dynamic force being egotism and selfishness. The abuse of God Grace to obtain Siddhis सिध्दी and utilise them to one’s fame and easy attainment of all comforts, pleasures and sources of merry-making is the most degenerative abuse. In the case of ignorance the man has no knowledge but in the case of inversion he knows facts and yet acts in the opposite manner.Incapacity and weakness is one thing, over-activity and oppressiveness is another thing and between the two is indecision and oscillation and hypocrisy, etc. Wisdom as opposed to Avidyaa अविद्या and intelligence as opposed to dull-mindedness. The idea is this. Consider a lake in which all people put in good and bad things. The lake as a whole, malarious or of decease-removing property, is equally effective to all. Any man who does a good action or thinks a good thought adds to the permanent lake, and She is the master of all the workings in this lake, and of the universal homogeneous influence of this lake. The bliss of Indra इन्द्र and others is but a drop in he ocean, in comparison with the Bliss of Mother. Other spiritual beings live on a mere part of this bliss, either imaginary or shadowy. Most of the worldly beings live on the merely the imagination of this bliss in worldly objects, thoughts and pursuits, where as some blessed few get to live on the shadow or reflection of this bliss.